The most popular solution for your pets when you go away is to book them into kennels and catteries or another boarding option for small pets such as rodents. It is also the best known service available in. It is nonetheless vital to really understand how pet boarding works in order to see if it meets the needs of your animal. 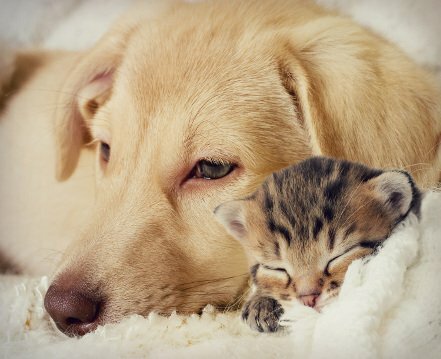 We can find 2 types of pet boarding establishments : specialized (kennels and catteries.) or general (takes different types of pets). These establishments are run by qualified people who are passionate about their work. Most places which offer boarding are dedicated to either cats or dogs. There are however a number that are set up to take in different species. Pet boarding companies like kennels and catteries are managed by animal professionals. Each establishment has its own way of working although of course they all share common practices in order to set pet owners’ minds at rest. In its new environment, your pet will get all it needs for its welfare: food, exercise, different types of kennels or pens …. When you choose a boarding service, it’s important to be aware of how much it is likely to cost. In general kennels charge £12-£20 a day and catteries £8-10 a day. Some companies offer reduced rates if you board more than one animal. Before you choose somewhere to board your pet, you should make a list of factors which are important for your animal’s well-being. Even if the kennels or cattery is staffed by professionals, they are nevertheless strangers to your pet. You mustn’t hesitate to inform them of your animal’s needs or to visit ahead of time so that both you and your pet can get to know the place and the people. Legally all kennels and catteries, in order to operate, must be the licensed by the relevant local authority. In order to obtain this license the premises must be deemed suitable and appropriate procedures should be in place to guarantee the welfare of animals. You should also check that the company has legal liability insurance and what experience and qualifications the staff possess. Just as for any other pet sitting service, you should prepare for the day your animal moves into the cattery or kennels. So as to be sure you don’t forget anything, don’t hesitate to contact the kennels or cattery. The staff will be able to advise you what you need to bring with your pet so that all goes well during the stay: e.g. vet records, food, medicines, toys etc. Why choose boarding for my animal? Pet boarding offers a number of advantages which you should of course take into account in your decision. When you choose this option you can be sure that your animal will have constant attention while you’re aware. Moreover there will be other animals around, something which provides your pet with the opportunity to meet new playmates. Hence this is a great solution for animals which can’t bear being left alone. On the other hand you should be careful if your pet is not sociable as boarding necessitates contact with other animals.